• CARICOM’s mode of marking time, at an historical moment of overwhelmingly awesome challenges for our region, which compellingly demands a more profound integration, is mistaken. • The times demand that we move resolutely beyond minimalism (in the integration process) which inexorably leads to regression; “pausing” is but a euphemism for standing still which, in a dynamic world, is sliding backward. That is the evidence before us in CARICOM since its leaders, including me, decided at a special conclave in Guyana in 2011 to put the “single economy” process on “pause”. • Functional co-operation: success is assured mainly when the policies, programmes or projects are driven by the funding and will of an external agency. • Foreign policy co-ordination is patchy at best; its unevenness exacerbated by the passion, innocence or a lack of conviction of many of us. • Security collaboration is mostly in tatters. • Economic integration: The CARICOM trading regime is in place juridically, but is undermined daily. On wider economic issues of critical importance to in the “single market” such as the freedom of movement of persons and attendant contingent rights, the twists and contradictions are yet to be satisfactorily resolved. Imagine if the Head of Government were to be courageous enough to identify as a central failure of CARICOM that its focus has not been on integrating the people themselves, and that the people-centred matter of the freedom of movement of people, including hassle-free travel, remains substantially elusive. Imagine if the Head of Government forthrightly and outspokenly took by the horns the bull of air transportation within CARICOM and states that it is caused by unfair competitive subsidies granted to Caribbean Airlines Ltd by the government of Trinidad and Tobago. And, then go on to point out that these problems of limitations would fester further, and in time are likely to become septic and debilitating. Imagine if the Head of Government were direct enough to admit that the very existence of CARICOM is threatened by three poles of crisscrossing integration that are now pulling member countries in different directions. Those poles are: The Economic Partnership Agreement with the European Union (EU) which imposes certain requirements of CARICOM member states with the EU that are greater than the member-states have of themselves; the increasing commitments by some member-states of CARICOM that are being given to the Venezuelan-led, ALBA group; and new arrangements that may result from trading regimes with Canada and the United States. Imagine if, after admitting that a weak CARICOM that has placed its own integration process on “pause” is not delivering for its people, the Head of Government were to state plainly that one thing is for sure: CARICOM cannot continue ducking these burning questions or addressing them in a piecemeal, ad-hoc, or disconnected manner. Imagine if having said all this, a CARICOM Head of Government were to pinpoint where the root of CARICOM’s problems lies – in its governance -- and, in this connection, were to assert fearlessly that CARICOM’s administrative structure is less than effective and sub-optimal in performance. Imagine if the Head of Government were to proclaim what the leaders have denied: that the informed public has grown weary and cynical of CARICOM’s efforts to deal with the crucial issue of governance by timidly tinkering with it rather than radically reforming it. Imagine if he had the pluck to tell the leaders of CARICOM that all of the challenges he identified are capable of solution or improvement and that the real, unbecoming deficit is the insufficiency of political will. As difficult as it may be to imagine that a Head of Government of CARICOM would be bold enough, committed enough and fearless enough to say all these things, a Head of Government has done it. In doing so, he has carved-out a distinctive and eternal place in the history of the Caribbean. The Prime Minister of St Vincent and the Grenadines Ralph Gonsalves, in a letter to CARICOM Secretary-General, Irwin La Rocque, dated 9 February 2012, stated everything that has been imagined here and more. His letter was copied to all Heads of Government of CARICOM. The clarion call that he sounded could not be clearer, nor could the three words with which he ended be more pellucid: “Time for Action”. Others have said what Prime Minister Gonsalves has lucidly and candidly set out in his letter. Among such persons are Sir Shridath Ramphal, Alister McIntyre, Professor Norman Girvan, Dr Vaughan Lewis, Moss Solomon, Rickey Singh, and, at the risk of being immodest, me. The important difference between the rest of us and Ralph Gonsalves is that he is a sitting Head of Government, who is willing to admit that CARICOM is in serious crisis and that it must be made better “because it is a great cause for our people’s enduring benefit”. 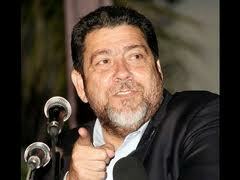 Now that Prime Minister Gonsalves has shown such nerve, we wait to see what other Heads of Government will do. If they wish to act on a blueprint, they need look no further now than at the paper commissioned in 2011 by Grenada’s Prime Minister Tillman Thomas when he served as chairman of CARICOM. The paper should have been the centre-piece of the conclave in Guyana last year when inexplicably and mistakenly (as Prime Minister Gonalves said) they decided instead to put the Single Market on “pause” and, by doing so, worsened the effects of the crisis. Prevarication, obfuscation, delay and dithering are not options. Urgent work is now necessary and the Tillman Thomas paper should be pursued swiftly and diligently.